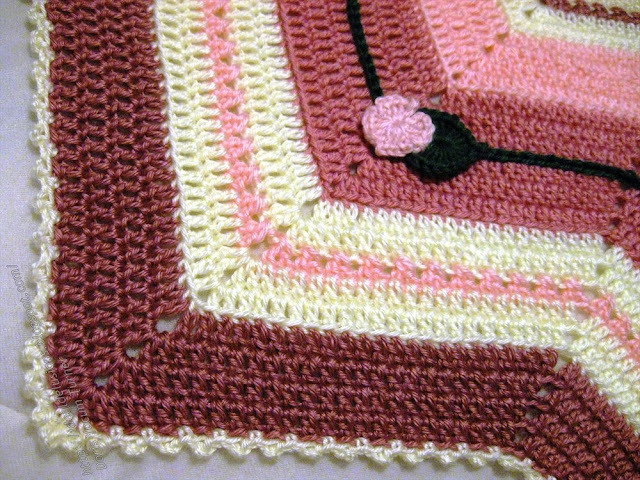 Afghan Schematics are for those who already have some experience in crochet. 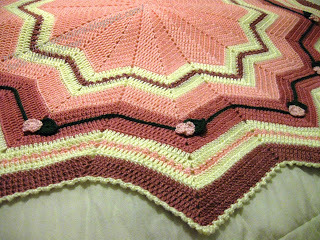 The afghans were all made using a Basic Round Ripple afghan pattern. The variations of each afghan is listed in the "Afghan Schematics" found on the individual photo page of each afghan. This post show the photos and lists the materials used for this afghan and also a description or "Schematic" of how it was created. Crossed double crochet = The crossed dc is worked over an area of two stitches. To begin, *(skip the next stitch, make a double crochet in the following stitch, make a double crochet in the skipped stitch, skip 2 sts, dc in next st.) around. Afghan Schematics: The directive details for the changes in the rounds. Round 35: Color A crossed double crochet stitch or regular double crochet, your choice. Using color D, start with magic circle, Sl st in ring chain 4, 5 tr, 5 dc, ch 3, sl st in first ch to form picot, 5 dc, 5 tr, chain 4 sl st, all in ring. Pull yarn tail and draw ring tightly closed. Using color A start with magic circle. or adjustable loop Sl st in ring, chain 3, 2 dc, ch 3, sl in ring; repeat three more times, join to first st for 4 petal flower. Pull yarn tail to close center of flower, tie. the next step may be eliminated and you may use the yarn tail to sew the button. To create shank on button: Lay crochet hook on back of button. Stitch across hook several times to form shank of button. This afghan has 12 flowers and leaves but more may be added if desired. such as you would apply beads, while the vine is crocheted onto the afghan. you would add a bead. Slip stitch in each space to 3 sps before point. 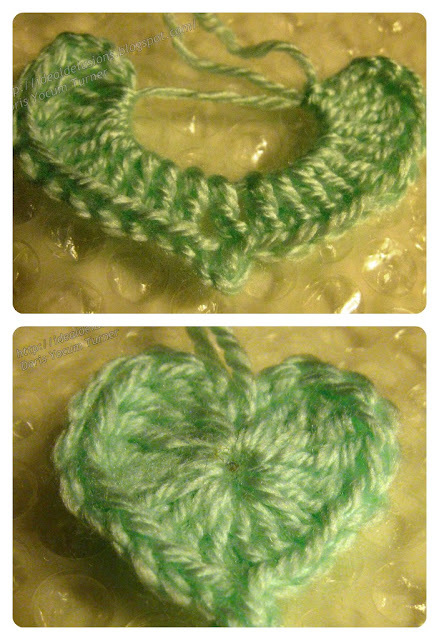 Thread yarn through center of leaf and complete sc. Sc in next two spaces. Thread yarn through shank of button flower and complete sc. Slip Stitch in each sp to bottom of point. Sc in both spaces at bottom of point and continue around. Put leaf and flower button on each point. End off, work in yarn ends.